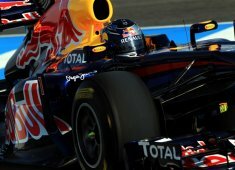 The Red Bull Racing F1 Team began the 2011 Formula One season on the same way they ended the 2010 season: with a victory. World Champion Sebastian Vettel was able to finish the Australian Grand Prix in front of Lewis Hamilton and Vitaly Petrov. Mark Webber, who started the race from 3rd position, was the fifth driver to cross the finish line.